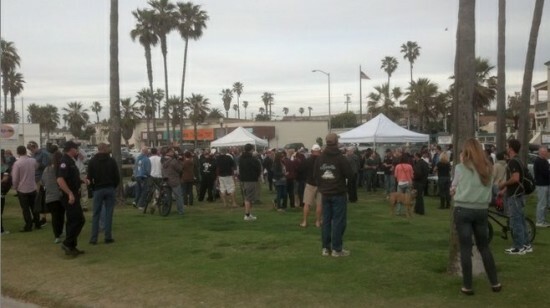 “Respect OB” rally – April 24, 2012. Editor: The OB Rag has been publishing the speeches of the various OB planners and other village leaders given at the City Council hearing on the Ocean Beach Community Plan, Tuesday, July 29th. Here is John Ambert’s speech. My name is John Ambert and I am an architect, I am the Vice Chair of the Ocean Beach Planning Board, and I am a born and raised as an Ocean Beach native. and third, because coastal redevelopment at this scale, pushes the residents out of their community. First, Ocean Beach is classic California: It is a unique beach town unlike any other, and should be preserved for that reason alone. O.B. is a small town mostly due to its physical constraints. Located on a peninsula the town of Ocean Beach retains an isolated quality similar to an island, giving it a unique sense of place. From a land use perspective, the Ocean Beach Neighborhood is constructed at the Human Scale. It is a walk-able, bike-able, offers great variety of basic services within a quarter to a half mile. The Buildings in Ocean Beach are disciplined in how they relate to their lot, both in height and frontage. In fact, the street trees in Ocean Beach tower over the buildings, and not vice versa. OB has a wide variety of housing types, which allows people young and old, single and with family, poor and wealthy, to have places to live. 85% of this housing stock is used by low-middle income renters, the fabric of our neighborhood. Consisting primarily of modest sized Craftsman Bungalows, the majority of the dwelling units in OB are 1 – 1 1/2 story houses with low sloping gabled roofs over the main portion of the home. These structures are horizontal in massing, and are connected to the street through the use of decks, porches, and outdoor gathering spaces at grade. They are appropriate scaled for their setting, and belong to the area where they reside. Additions to these residences steps back towards the rear of the property, thereby maintaining the integrity of the original structure and its relationship to the surrounding environment. The second reason to support the plan as written, it because the F.A.R ratio of an area has a profound effect on character of that community. Recently Infill development has demonstrated a dangerous pattern in Ocean Beach. Due to the required front, side, and rear lot setbacks, the allowable area one can build on is limited to the FAR. Maximizing this area usually results in the form of a direct vertical extrusion of this box. The result is a narrow and vertical structure with minimal undulations or projections. This type of structure blocks the sunlight, wind, and views of open space. It’s connection to the street is divided by the vehicle. Time and time again, the planning board has heard from these land owners seeking variances to the .7 FAR, in order to build a larger than allowable structure for the purpose of: living in it with their extended family. But the reality is these oversized buildings are being rented out as “Custom Designer Ocean Beach Vacation rentals” that run on VRBO.com for between $2500-3500 per week. This is completely unacceptable, and the variance language in this plan works to avoid this type of insensitive coastal redevelopment. The third reason to support the plan as written is because, F.A.R variances result in the loss of the very thing that make coastal communities unique, its people. Considered by many to be the Haight-Ashbury of San Diego, OB retains the 60’s culture and that era’s strong emphasis on community, as you can see by the attendance here today. This pattern of FAR variances, dilutes the culture of Ocean Beach by removing the affordable housing stock, decreasing density, and pushing the residents out of the community they love. This will lead to a plastic, mundane beach community of bulky, oversized, view-obstructing, vacation rentals with no connection to their setting. In theory, this influx of wealth should able to support local businesses. But in practice, studies have shown that this type coastal redevelopment affects local economies negatively. by contributing to the demise of local businesses and facilities utilized by middle class residents. Wealthy populations often seek alternative locations to spend their disposable income, thereby skipping the potential contributions to local economies. This displacement of the original working class residents and its accompanying social change will single handedly unravel the fabric of the Ocean Beach culture. We the People’s Republic of Ocean Beach, are here today to tell you that we discourage these type of F.A.R. variances. Over the past few weeks, we have reached out to the community to educate them about the situation, and the response has been overwhelming. 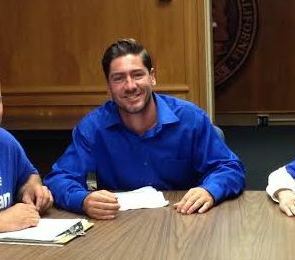 We have been able to collect signatures from 1561 residents within the Ocean Beach boundary, and an additional 1900 signatures from San Diego residents for a total of over 3500 signatures, hand counted and verified by yours truly. All of these signatures were gathered in Ocean Beach, by volunteers walking door to door and promoting at the Farmer’s Market. In addition, we have another 418 signatures from an Online Petition started independently by an concerned Ocean Beach resident. I want to make one thing very clear: The decision you make today, is precedent setting. I urge you to support the Ocean Beach Community Plan Update today with the variance language as written. Take this opportunity to set the example for the remaining 40 communities in San Diego with an update in the works. Champion this Community Plan alongside a motivated, passionate neighborhood of people that seek to preserve and protect the quality of San Diego’s most authentic Beach town.